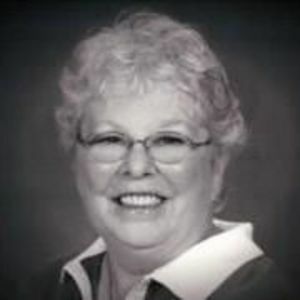 Joyce Merry DeFoley, 74, passed into eternal life on January 7, 2018. She was born on October 15, 1943 in Morristown, NJ. She is predeceased by her parents, Joseph and Lenore Pike DeFoley, and her infant son, David. She is survived by her daughter, Robyn Rotante, and grandchildren, Daniel (18) and Eliza (17) of Cresskill, NJ. Joyce attended Yorktown Heights High School in Yorktown, NY. Following high school, she attended The Fashion Institute of Technology in New York City, NY. Upon graduation, Joyce worked in the fashion district as a designer. Marriage in 1968 led to residency in Bergenfield, NJ. Joyce was involved in civic events where she also served two terms as President of The Bergenfield Elks women's auxiliary, The Emblem Club. After moving to Raleigh, NC, Joyce worked for 22 years at A.E. Finley YMCA. She was active in a bible study at the Y. Joyce was passionate about her "Y Family" and embraced their mission. A service will be held 11am Tuesday, January 16, 2018 at St. Francis of Assisi Catholic Church Chapel, 11401 Leesville Road, Raleigh, NC 27613 with inurnment following in the church columbarium.